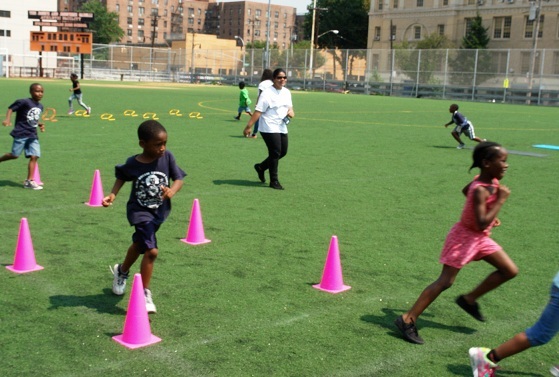 BRONX, N.Y.— Dozens of young children from area summer camps participated in Bronx Community Health Network’s (BCHN) annual Health Fair Field Day at the Evander Childs Educational Campus on Tuesday, August 18. 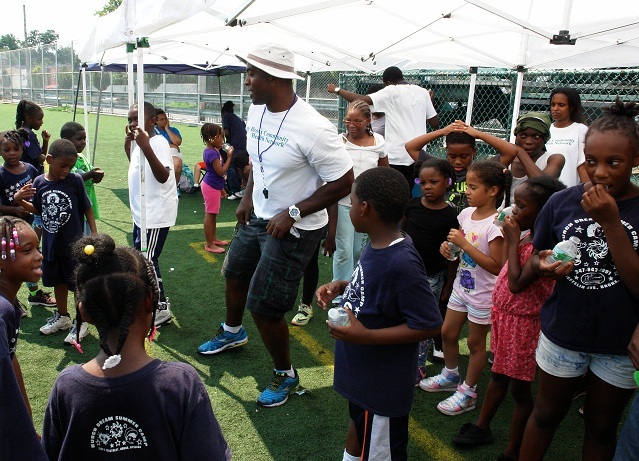 The fun-filled event focused on teaching children about the importance of physical activity and good eating habits. The children participated in relay races, obstacle courses, jump-rope, and Double Dutch. 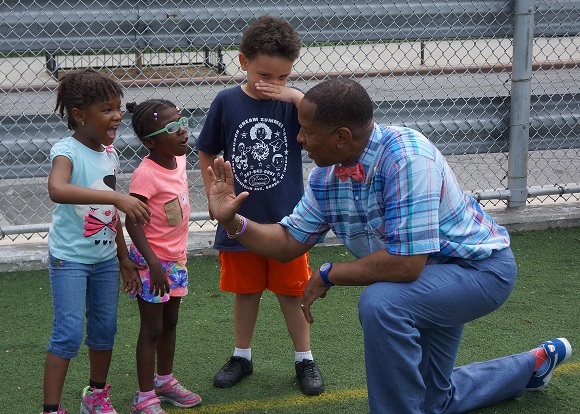 New York City Councilmember Andy King got into the spirit of the event by helping the children stretch, turning the ropes, and even took a turn at jumping. Children also participated in yoga movements, tried different relaxation techniques, and were treated to a dance class with, BCHN public health intern, Alexei Silva, who taught them how to dance the Nae Nae. “This was such a wonderful day for us and the children. Most importantly, we hope they learned some creative and fun ways to play together and reduce screen time spent on video games and television. Physical activity does not have to be boring, and does not have to be exercise in a traditional sense. Physical activity can be lots of fun, can take place anywhere, as well as socially and educationally stimulating,” said Eleanor Larrier, BCHN CEO.